There are many defects that can cause an outbreak of Dry Rot, generally there needs to be a moisture source, such as a plumbing leak etc., and inadequate ventilation. 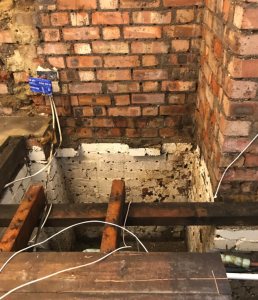 In this instance, Kenwood’s dry rot treatment was required after an ongoing problem with defective guttering and a lack of sub floor ventilation. In order to remedy the outbreak we have cut out and removed from site the affected timbers. The brickwork surrounding the area is sterilised with a fungicidal Dry Rot fluid to eradicate fungal activity and spores whilst the walls dry out. 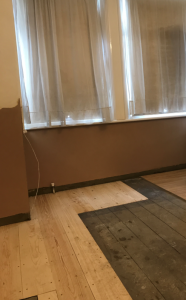 We have replaced the affected timbers, including joists and floorboards, using pre-treated timbers which have been isolated from the masonry. With the walls replastered and a twenty year written guarantee our client can continue to ensure income from his rental property.